Planning ahead is key. This resource provides a high level list of activities necessary to plan and launch an SLIV program during fall months. This list assumes that funding for the program has been secured. Depending on the resources and partners involved, there may be a period of pre-planning before this checklist can be used. Incident Command System (ICS) is a standardized approach to coordinating facilities, equipment, personnel, procedures and communications needed to respond to an emergency. For local health departments, an SLIV program can be a useful way to exercise the use of ICS so that all staff are prepared for emergencies. Below is a sample organization chart of our ICS activation. This resource is a list of topics to cover when planning an SLIV program with a local school district, particularly if the SLIV effort is being led by the local health department. It is important to understand which agreements are necessary to implement an SLIV program. Agreements may include contracts and memorandums of understanding between the local health department and school districts, consortiums of schools (e.g. private, charter) or individual schools; between the local health department and vendors; and between school districts and vendors. 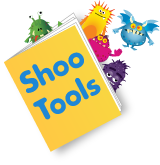 For example, during the Shoo the Flu pilot program the local school district required its own agreement with the County’s chosen nurse staffing agency to outline liability and health/background screening requirements. Also, the County required an individual letter of agreement with independent schools to outline the responsibilities of both parties in implementing the program. When working with large organizations like school districts and local health departments, agreements may take a long time so it’s important to understand the steps and time needed to finalize the necessary elements. It is also important to make sure agreements are covered across all parties. While this toolkit has been created under the assumption that funding has been secured for an SLIV program, below are are some of the lessons we learned as we analyzed our costs throughout the years. Consider that there may be start up costs that won’t be repeated in subsequent years, such as vaccine transport materials (portable coolers) and vaccine storage (refrigerator to store vaccine). Staffing was the largest cost driver in our budget, accounting for nearly half of our expenditures. This category included program operating staff, temporary data entry staff and vaccinators. Securing in-kind staffing (e.g. nursing students to vaccinate and interns to help with school coordination) can help reduce the overall cost of the program. Some costs are fixed, meaning that they won’t vary by the number of schools served or the number of vaccinations administered at any school site. These include costs like program management staff, most promotional materials, some vaccine day administration materials and vaccine transport. Other costs will vary by the number of schools that are served and how many vaccinations are provided at the school. These include costs like vaccine, vaccine administration materials and staff to administer vaccinations. At a certain number of vaccinations administered, the cost per vaccination may drop significantly. For our program, this number was around 100 vaccinations per event. Creative strategies to increase the number of vaccinations given at an event, including merging sites, may help reduce costs. Consider purchasing materials that can be reused year to year. During the Shoo the Flu pilot program, we were able to experiment with timing of both the program launch and the start time for vaccination events. For program launch, it’s best to start early in the flu vaccination season to maximize participation but starting too early may not allow sufficient time to prepare materials. When ACIP recommendations on influenza vaccination are published and vaccine availability can affect the start of the program. We generally started the first week of October. Of note, there is research to indicate that immunity wanes throughout the influenza season so some programs may consider a later program launch. The challenge is that as the season progresses, more students will be vaccinated elsewhere. For deciding what time of day vaccine events should start, working closely with schools to understand daily schedules can help determine the ideal time to schedule. We found that students were in their designated classrooms during the morning session but that they were split up between multiple classrooms for the afternoon session so all vaccination days were scheduled for the morning, with the goal of ending by lunch time. If you are including families and siblings in the program, you may consider afternoon and after school hours. Consider scheduling schools where you anticipate low participation early on in the schedule to maximize participation and reduce costs. Throughout planning and implementation, a Community Advisory Board (CAB) can provide outside and community-based feedback to the program. Our CAB provided feedback on major programmatic decisions, evaluation plans, program messaging and marketing to diverse populations, long-term sustainability and acted as an intermediary for the community to share any concerns about the program. When recruiting members, make sure to include a clear mission statement or purpose, a description of membership, meeting structure and timing, and reporting procedures. Members may include: local pediatricians and family medicine providers, representatives from local children’s hospitals, parents, school staff, school district administrators, community based organizations, school based health center staff, and religious leaders. Poll members well in advance of meetings to maximize participation and anticipate evening meetings or telephone meetings will be most convenient.